You know what the true joy is in reading comics? Learning. The older I get, the more I value things such as education. You can be a broke bum on the streets or a snob living in Beverly Hills, people can’t take away your education. I’m not just talking about school either (even though I do recommend college) but just learning in general. We have a vast network of knowledge at our fingertips with the internet. Anything and everything can be learned, or at least questioned with the internet. I never stop learning when I’m reading comics. If you’ve read my Batman v. Superman or my Superman Rebirth review, you know how much my thoughts on Superman have evolved. When I was younger and a rebellious, arrogant teen, I thought someone who was always good was dumb. The internet and social media though, give you a glimpse of what it’s like when people are always “bad.” Heroes like Superman and Captain America are needed because nowadays everyone wants to look up to Deadpool or Joker. They’re cool and all, but Superman represents what a good person looks like. That type of empathy is rare in our world. So much hate is being spread all over the world. Superman laughs in the face of hate, and that’s pretty awesome. For those who haven’t been reading, this Superman run is focusing on Superman’s son, Jon. 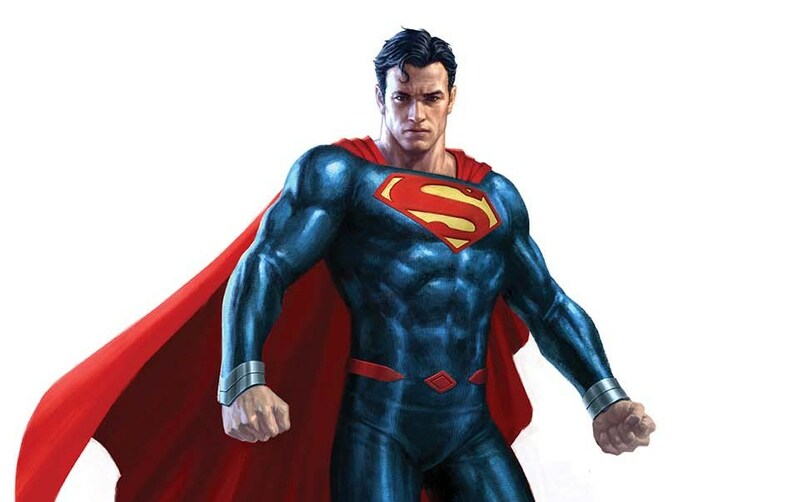 The New 52 Superman died protecting Earth, and now the “original” Superman, who married Lois Lane, is DC’s current Man of Steel. In the first two issues, we get a snippet of his son’s powers. He accidentally kills the family cat in the first issue, and helps his father save a crew of sailors in the second. You can tell this kid really looks up to his father. I mean, who the hell wouldn’t? Anyway, something happened to Jon in the last issue. He falls from a tree and is injured. Weird right? Superman thought the same thing. This issue starts with him going to the fortress of solitude to run some tests on Jon to see what the problem is. Sometimes he’s indestructible and sometimes he isn’t. As Superman and Lois go into the fortress, someone resembling the Eradicator is messing with Krypto, the Superdog. Wrong move Eradicator. This is when Superman will lose his cool a bit. He doesn’t take his family being threatened well. No man does, but those same men don’t take losing a game of Madden well either. For Superman to lose his cool, the stakes have to be high. A crazy fight happens next. The way it is broken up is visually cool. I loves the strong reds used here. As they’re fighting, a piece of the wall falls and is about to strike Lois and Jon. Eradicator goes out of his way to save them. Superman can’t ignore a good deed, even from the most evil of men. He doesn’t take his eye off of the Eradicator though. He decides to run some tests to see what is wrong with Jon. Superman asks the Eradicator why it has the house of El on its chest. A cool story comes next as we learn more about the Eradicator. It talks about how General Zod programmed them to seek out and arrest Kryptonian lawbreakers by whatever means necessary. It continues saying General Zod ordered them to drain the lawbreakers life force until they could stand trial. Then, the Eradicator talks about Krypton exploding. The writers try to give some emotion to the dialogue when it talks about Krypton, but it falls short to me. I have seen this planet blow up too many times. Still, this explains how the Eradicator got its human like form. We then learn they are here to extract the Kryptonian DNA from Jon so they can perfect his genome and recreate a new Krypton. Of course, Superman isn’t having it. The Eradicator then begins this sucking motion where it ingests Krypto! It’s a crazy scene. One that unleashes the anger in Jon (reminds me of Gohan turning SSJ2 for you DBZ nerds out there.) The image of Jon at the end with his eyes glowing red is awesome but terrifying. Story wise, another great issue. I’m loving the growth of his son in every issue and the reminder of why Superman is great. Where this issue is lacking is in the art. Jon looks considerably younger in this issue. He actually looks completely different to me compared to the last issue. I loved the shadowy blues that were used for Superman’s suit last issue. They got away from that this time. Other than Jon’s awkward appearance, the art isn’t terrible, but not great. So far though, this run is still my favorite and most anticipated out of all the Rebirth titles. It’s getting back to some good storytelling that is reminding myself and probably a lot of other people, why they like Superman in the first place. Hope you enjoyed this review! Remember to please follow me on Twitter @Hero_Review What should I review next? I currently have a bunch of reviews lined up, but will gladly take suggestions. Under the Red Hood this week, Jessica Jones Season 1, Daredevil: Born Again, Watchmen, Daredevil Season 2, The Killing Joke, and Suicide Squad are all coming up!! Until next time!